If you were looking cast someone to play Mister Rogers, it's not like you'd call Vin Diesel. 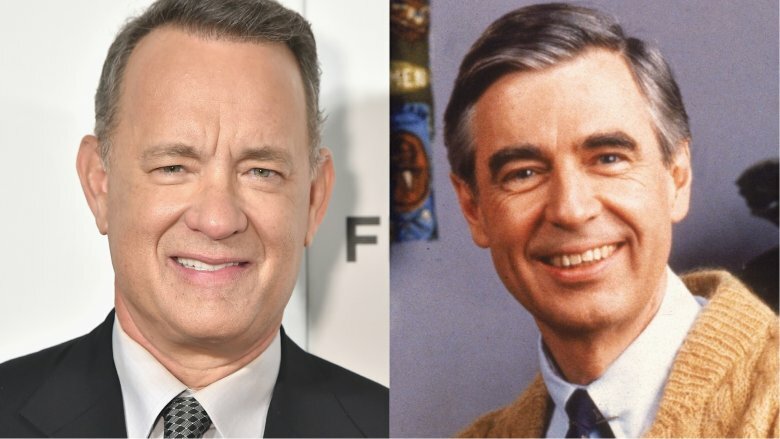 Variety reports that Tom Hanks is attached to star as iconic TV personality Fred Rogers in the TriStar biopic You Are My Friend. The movie will be directed by Marielle Heller (Diary of a Teenage Girl) based on a script by Micah Fitzerman-Blue and Noah Harpster, both known for the Amazon series Transparent. You Are My Friend was inspired by the real-life friendship between Rogers and award-winning journalist Tom Junod. In the movie, Junod is a cynical journalist who takes an assignment to write a profile on Rogers and finds his entire perspective on life is changed. "I'm thrilled to be making You Are My Friend," Heller said. "The script knocked me out with its message of kindness and its exploration of the human spirit. As a mother, I am so inspired by the teachings of Fred Rogers and as a human I am in awe of his life's work. I can't wait to bring his story to the public and be a part of such a thoughtful, smart group of people who are all coming together to make this film, which truly feels to me like an antidote to our very fractured culture." Hanks obviously knows a thing or two about playing real-life people. He portrayed Captain Richard Phillips in 2013's Captain Phillips, Walt Disney in 2013's Saving Mr. Banks, pilot Chesley "Sully" Sullenberger in 2016's Sully, and Washington Post editor-in-chief Ben Bradlee in last year's Oscar-nominated The Post. Producers Marc Turtletaub and Peter Saraf said in a statement that Hanks is the perfect person to play Rogers. "Now more than ever, we all need a re-introduction to Fred Rogers' message of uncompromising love and kindness between all living things," they said. "Mari Heller is the perfect visionary filmmaker to bring Noah and Micah's script to life and because of her vision and this remarkable script, we have the quintessential actor to play Fred Rogers."